Give a gift that keeps on giving! Teachers help small things grow. 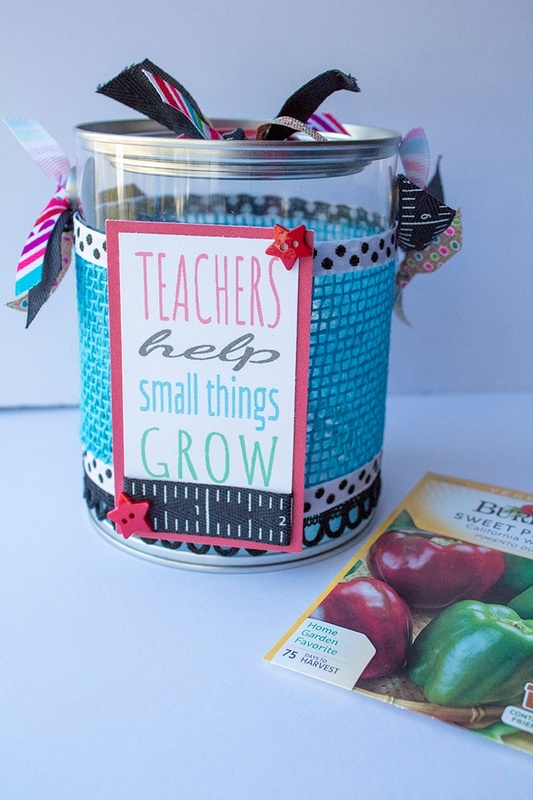 Show your appreciation by sharing seeds to plant in this decorated bucket with a free printable tag. 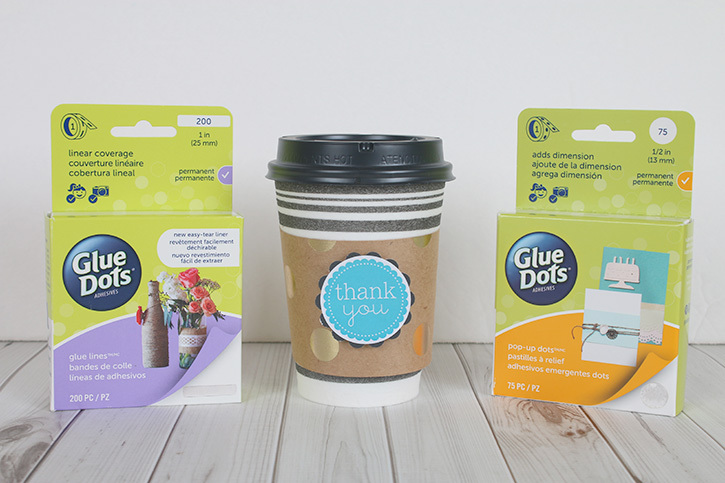 Measure, cut and wrap the burlap ribbon around bucket and secure it in place with Craft Dots. 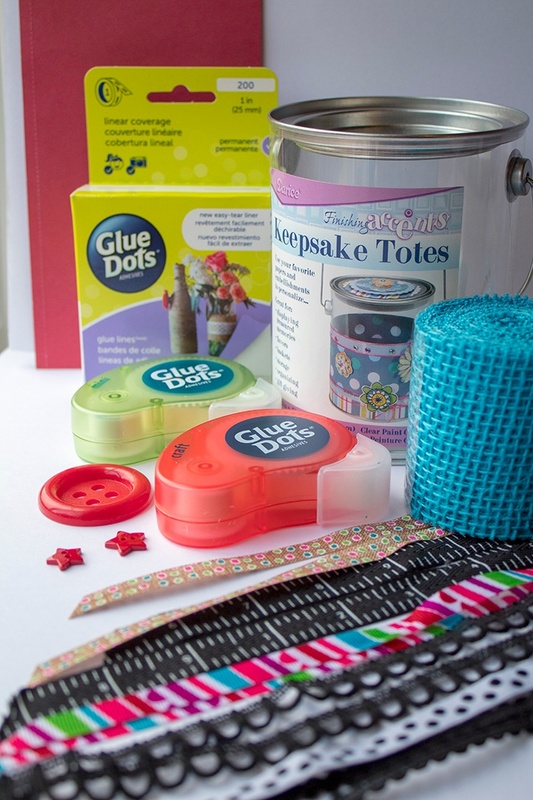 Use Glue Lines to attach assorted ribbon around bucket. 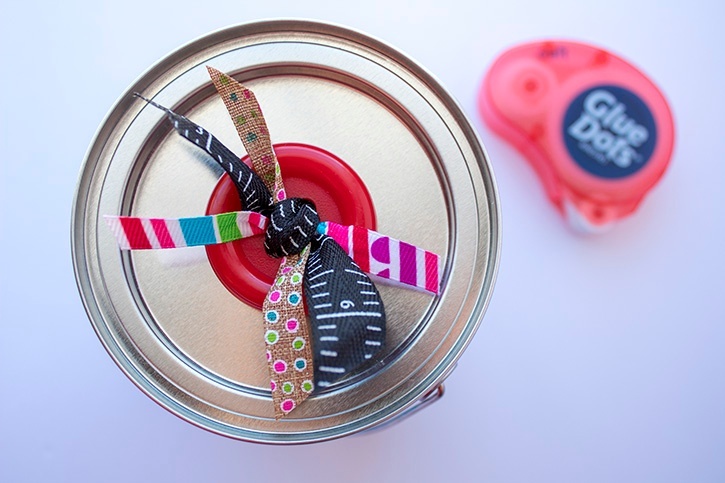 Tie ribbon pieces to a large button and adhere it to the top of bucket with Craft Dots. 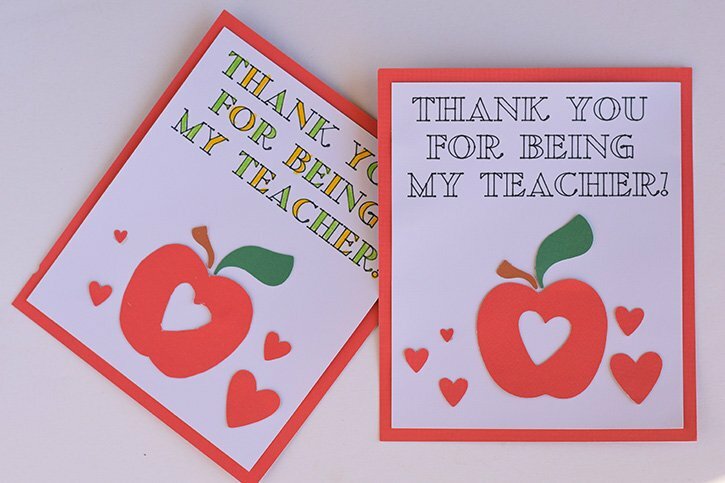 Print your "Teachers help small things grow," statement tag onto white card stock and cut it out. 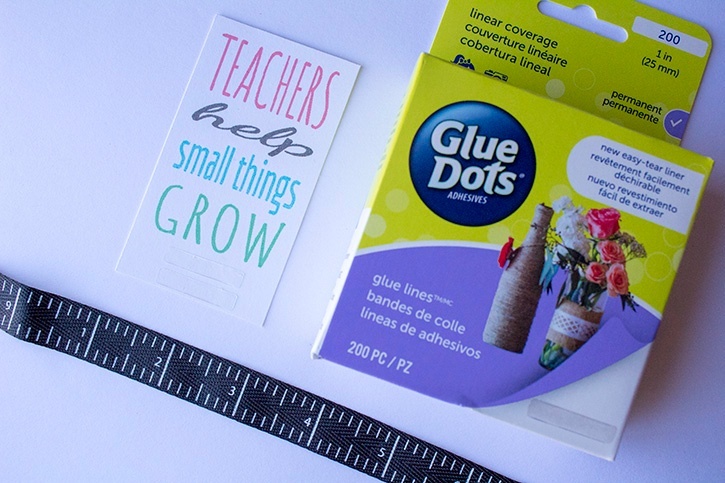 Wrap the ruler ribbon around bottom of tag and glue dot it into place on the back of the card. 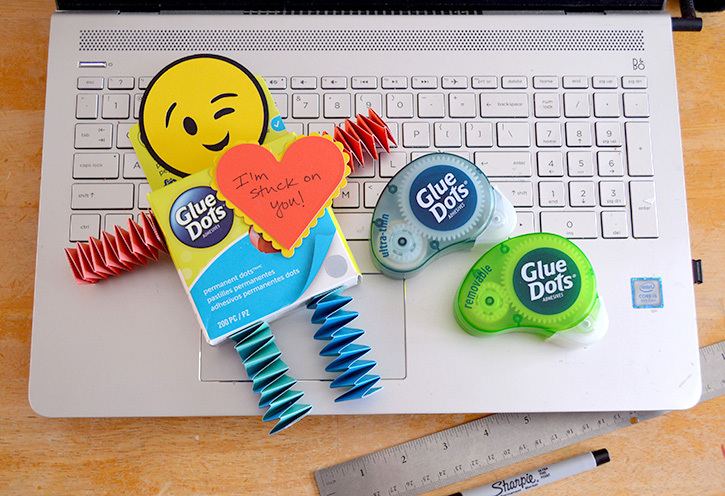 Use Craft Dots to mat tag onto red card stock and attach to front of bucket. 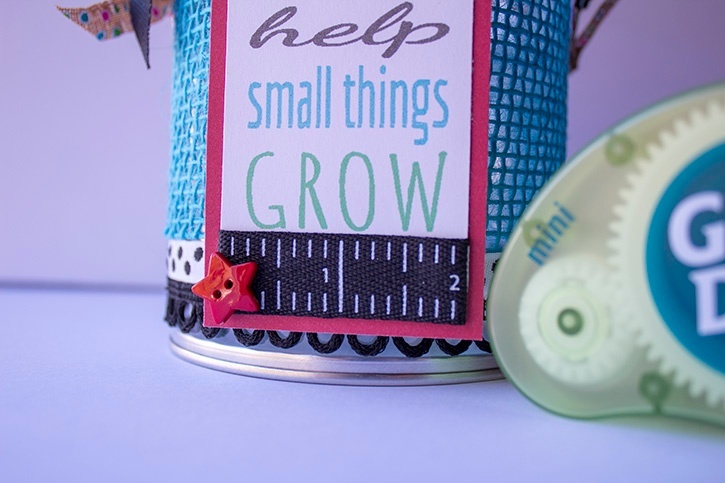 Use Mini Dots to adhere small buttons to the tag. 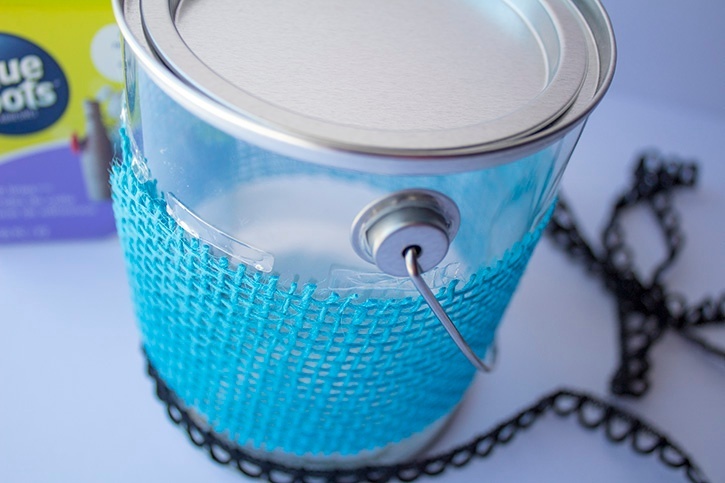 Place the seeds along with any other planting materials inside of the bucket. The bucket can be also be used to start seeds, so you could include a little bit of planting dirt.